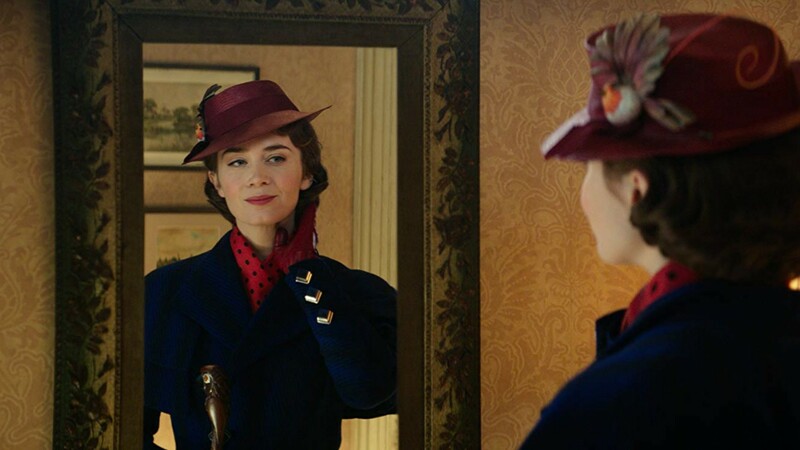 Mary Poppins Returns is floating into theaters this month, and we couldn’t be more excited. The film’s recent Golden Globe nominations have leveled up the hype surrounding the sequel to one of the most beloved family films ever made. Emily Blunt looks just as effervescent as Julie Andrews did, with the same red bow tie and blue jacket, along with some fresh songs and a new signature hat. Even though the original was released way back in 1964, the messages Mary Poppins brings to children and their families are ones we all still need to learn. We might not have a magical nanny or be able to leap into a painting full of cartoon friends and laugh so hard we float up to the ceiling, but we can definitely apply Mary Poppins’ timeless teachings, no matter the decade. Here are nine life lessons I learned from Mary Poppins. Whether you are “extremely stubborn and suspicious” like Michael or “rather inclined to giggle” like Jane, it’s important to know yourself better than anyone. No one is “practically perfect,” other than Mary Poppins, but we’re all always striving for it. Knowing your own measurements is being aware of your strengths and flaws while being able to use them to become absolutely the best version of yourself. Nothing is more practically perfect than that. Everyone knows that a spoonful of sugar helps the medicine go down, but have you ever really stopped to think about what that means? This is one of the messages Mary Poppins repeats in several different ways throughout the film, so it must be awfully important. At the beginning of the film, she teaches us that every job that needs to be done can be fun if you find a way to enjoy it. Then, through Uncle Albert, she shows us how to find the humor in just about every situation. Finally, she proves that even grumpy men like George Banks and Mr. Dawes need to learn to not take life so seriously. Remember I Love Lucy? According to Ricky Ricardo, women always need to be ready to explain any actions men don’t agree with or understand. Mary Poppins refutes this sexist assumption by firmly and happily informing George Banks that she never explains anything. Even in 2018, women are often expected to provide an abundance of evidence or explanations for decisions we make and actions we take, so now is the perfect time to remember her wise words and start refusing to explain everything we say and do. Whether you get sucked up a chimney or accidentally break your favorite kite, life always has its obstacles. When the going gets tough, sometimes you need a bit of tape and twine to patch things up. You might accidentally get soot all over your face when you’re trying to clean the chimney, so why not spend some time dancing on the rooftops along the way? As we’ve already learned, sometimes life can get messy. When it does, it’s also our responsibility to clean up those messes and take care of ourselves when the going gets tough. Mary Poppins says, “People with wet feet must take their medicine.” Everything we do has an impact on others, so it’s always up to us to take our own medicine. Fly a kite, smell the roses or whatever else it is that you do to take your mind off of the everyday grind. For kids, it’s taking the time to play and have fun, and as adults we call it self-care. Either way, doing the things that feel good and allow us to step back from the rules and restrictions of school, jobs, chores and bills is something Mary Poppins spends the entire film teaching everyone around her. If George Banks can learn this lesson, anyone can. Even when she’s covered in soot, Mary Poppins takes a pause to break out the compact and give her nose a quick powder. She also never travels without a mirror big enough for her to see her own reflection just the way she likes it. Some might call it vanity, but I think it’s confidence. No one else should get to define what beauty is for everyone else, but we should all be able to see it in ourselves. So, take a look in that mirror and powder your nose whenever you want, darling. We’re all familiar with mansplaining, but Mary Poppins reminds us that people need their own version of ’splaining sometimes to get things moving forward. When Mr. Banks tries to stand in the way of how Mary Poppins is trying to care for the Banks children, she leads him into doing what she wants by making him think it’s his own idea. From hiring her as the nanny to taking his children along to the bank, Mary Poppins carefully plants seeds so that Mr. Banks thinks he grew them all on his own. If you can’t beat ‘em, make them think they’ve chosen to lose. Poor Michael Banks and his precious tuppence. It’s hard to forget the scene where Mr. Dawes snatches Michael’s money away to deposit into a savings account, causing Michael to scream and all of the bank customers to panic and demand their money. This lesson is less of a warning about banks (although it definitely seems to be one) and more of an encouragement to pay attention to the needs of those around us. George Banks walked by the same woman every single day without stopping to give her money to feed the birds, and when he finally started to pay attention, she was gone. Luxuries can wait, but generosity should not.